How does the EU budget work? How can European regions and cities access EU funds? 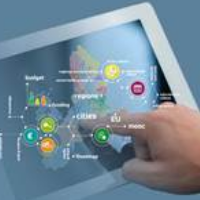 The European Committee of the Region’s massive open online course (MOOC) is the first of its kind to help regional and local authorities navigate policy-making in EU affairs, with a focus on accessing EU funds and understanding budgets. This year’s course has been co-created by the European Investment Bank and two Directorates-General of the European Commission (Regional and Urban Policy, Budget). The MOOC will comprise six main themes – each online for one week and requiring about two hours of study time – focusing on the EU budget and how it is spent.